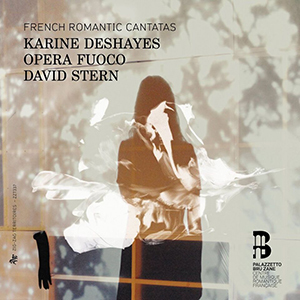 Karin Deshayes joins an impressive list of vocal artists with whom David Stern and Opera Fuoco have performed and recorded. The French Romantic Cantatas represents a sampling of Cherubini and his contemporaries with excerpts form Cherubini’s Medée and Circé and cantatas by Hérold, Catel and Boisselot. These cantatas are highly dramatic works in the styles of bel canto and magnificently orchestrated precursors to the lyric works of Berlioz. The romantic, mythological theme of the femme abandonnée unites all five works on this new disc. The French Romantic Cantatas is Opera Fuoco’s fourth disc, following Johann Christian Bach’s opera, Zanaida, released in 2012.